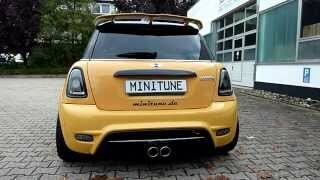 MINI gets its Cooper S R56 a new performance kit from the German tuner Minitune. 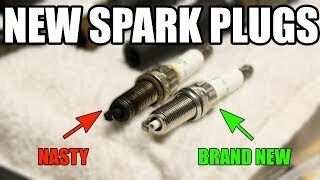 Housing visual and engine upgrades the performance kit gives a commendable hike in the power figures and the looks of the upgraded Minitune MINI Cooper S R56 2014. Let us not delay and have a thorough look at the review of Minitune MINI Cooper S R56 2014 to know more about the upgrades. The raw materials and concepts creating the final Minitune MINI Cooper S R56 2014 includes new wheels, body kit and performance boosts. 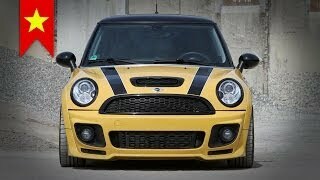 Starting with the visual changes that come through the body kit used to upgrade Minitune MINI Cooper S R56. This package includes front spoiler, bumper bar with big air inlets ensuring proper flow of air, a black front grille that not just looks aggressive and sportive but also gives a touch of luxury to the front end of model. 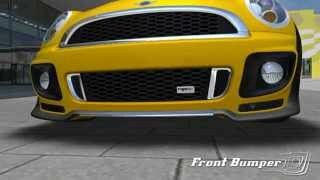 Also joining this entire setup Minitune MINI Cooper S R56 2014 body kit brings new side skirts and a rear apron in diffuser optics and a roof spoiler that gives the model blend of sportiness. In all the body kit so inculcated not only makes the model distinct from standard model but also gives it a touch of aggression and sportiness. Rolling this entire set up, model is equipped with Motec Nitro single piece wheels featuring outline matching the body color. With these all changes and the air inlets in the engine hood the purpose gets served assuring a performance oriented ride inside Minitune MINI Cooper S R56 2014. 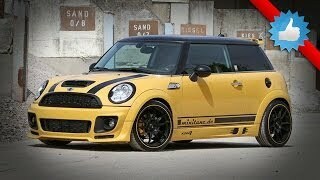 If you have been following our website than you might be aware about the performance figures of standard model and even if not we would like to put light upon the predecessor which generated 174 hp and peak torque 240 through its 1.6 liter turbo engine but after all the upgrades the Minitune MINI Cooper S R56 2014 with the same 1.6 liter turbo engine distributes total output of 218 hp and peak torque of 319 nm.